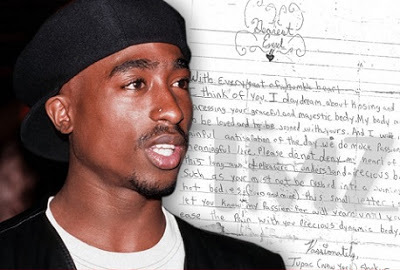 Tupac was spitting game back in high school just like everyone else and now his steamy letters can be yours for a small fortune. The folks over at Moments in Time are selling 2 handwritten letters for a cool $15k. They're from the rapper to a teen crush when he was a 14-year-old freshman in 1985 at Paul Laurence Dunbar High School in Baltimore. They're addressed to Averel, who at the time was the same age. The first letter reveals a shy Tupac introducing himself to Averel. Tupac surfaces in the second one as emboldened ... professing his wants and needs, if ya catch our drift. We're told Averel, who sold the letters to Moments in Time, was not impressed by Tupac's game. Not the first time Tupac's been brutally honest on paper. You'll recall he confessed why he dumped Madonna in a 2004 letter that later brought her tons of drama.